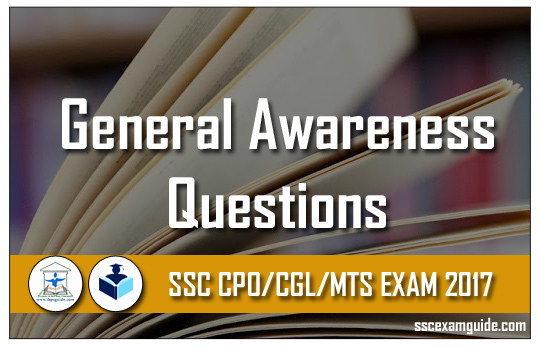 Dear Readers, Here we have given the General Awareness Question and answer for SSC CPO / CGL / MTS Examination 2017. 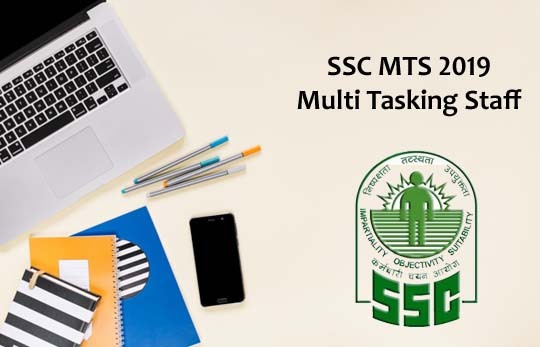 Candidates those who are preparing for the SSC Examination can use these materials. 7). 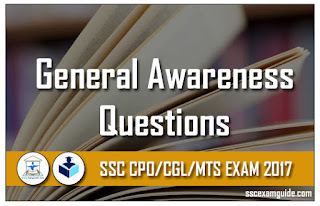 In which portion of the Constitution, were the goals of the Indian Constitution incorpo-rated? 9). Of the following Congress Leaders, who was not a "Moderate"?